British Airways has sacked a stewardess who posted a racist Snapchat rant attacking Nigerian passengers after she was called in for a two-hour meeting with bosses. 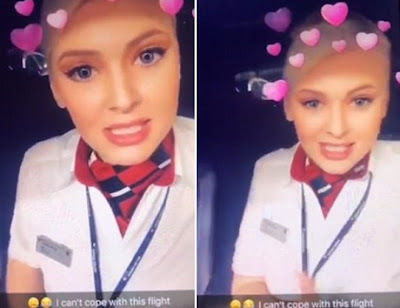 Joanne Wickenden sparked outrage after recording the racist clip in her BA uniform before flying from London Heathrow to Abuja on Friday night. The 23-year-old, who wants to be an actress, told friends 'I am not a racist' and claimed the sickening video was just a joke. A friend said that the other colleague wanted her to impersonate what goes on on the flight.